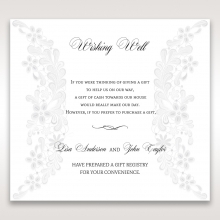 This is a beautifully romantic invitation. 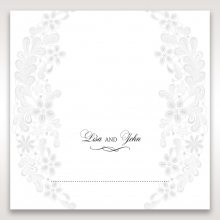 The gatefold is reminiscent of garden gates, which goes with the floral theme of the details. The inner edges of the gates are laser cut with a beautiful floral design, which is then embossed for further detail. All of these details are balanced perfectly by the white texturized cardstock used for the cover paper. 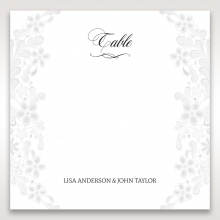 The insert, which contains your wedding details, is also textured white paper and printed in raised ink. 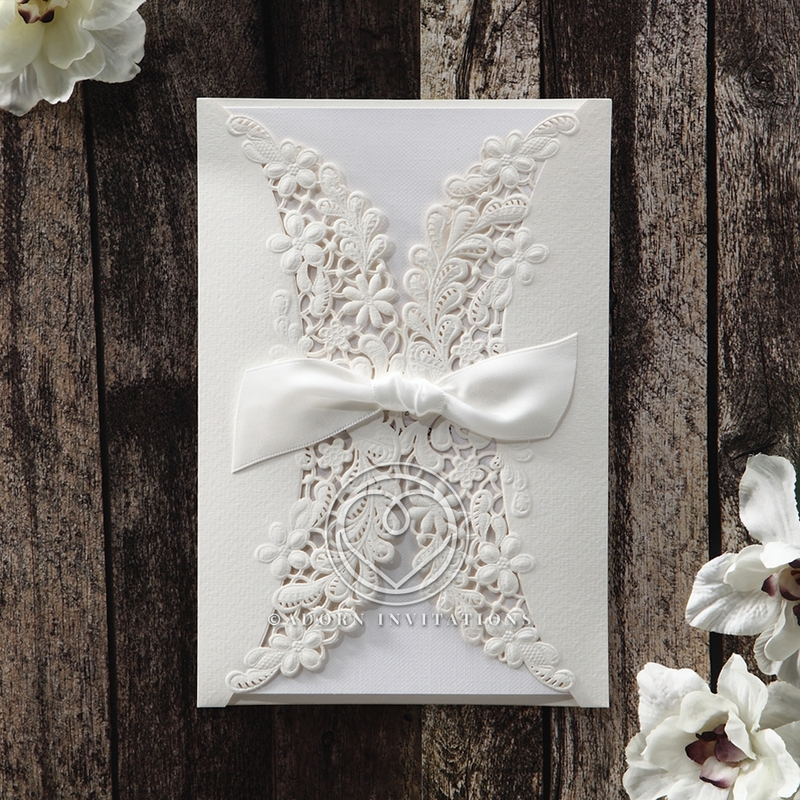 The two gates enclosing the wedding details are held closed with a pure white satin bow. 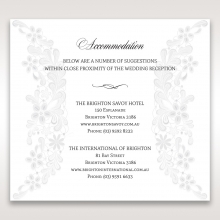 The coordinating Stationery Suite is shadow printed with the same pattern found in the gate details. 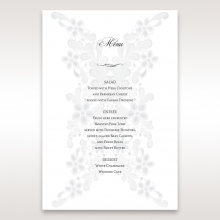 INSERT PAPER: Texturised 110 GSM. Not Customisable. This invite is very adorable. The inside paper is nice and textured. The raised ink is very nice as well. However, the inside paper is thin. 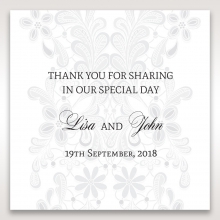 I ended up upgrading to Enchanting Ivory Laser Cut Floral Wrap (BH1646) because it is a higher quality with thicker paper. 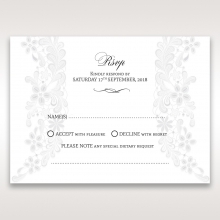 Definitely order samples before you decide on your invite. In regards to customer service, this company is amazing!!! I am so grateful for their attention to detail, patience, and quick responses. This invitation is gorgeous! I was really excited to get the sample in the mail, though it took more than 3 weeks for the shipping likely due to the holiday season and the weather. 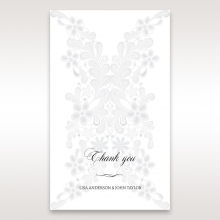 The card itself is beautifully designed, elegant, and of high quality. The paper insert is also a nicely patterned, and a good quality paper, with the printed texts raised for a more elegant look. 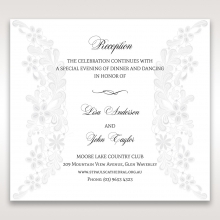 Not sure if the envelop is optional, but it has the pearlescent layer. I will be choosing this design for our wedding invitation. I just got my sample order and wanted to write a review. I was really surprised by the quality of the product. 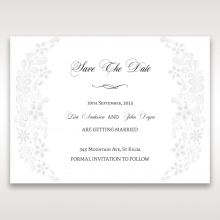 It is sturdy and stylish at the same time and the paper stock is really fancy. I absolutely love the pearl papers. It’s a shame that their on-line pictures really don’t show how fantastic they are. I highly recommend everyone to order a few samples to see the real things. I’m definitely ordering my wedding invitations here. I am more than happy with the quality of this product and would definitely recommend it to anyone.